Andy Borland is a graduate of Hibbing High School. He received his undergraduate degree from the University of Minnesota-Duluth and his Juris Doctor from the University of North Dakota in 1989. Andy has been practicing law in the City of Hibbing ever since. He is currently the Hibbing City Attorney, Nashwauk City Attorney, Attorney for the Hibbing Public Utilities and the Town of Lavell. He is also the prosecutor for the City of Hibbing. 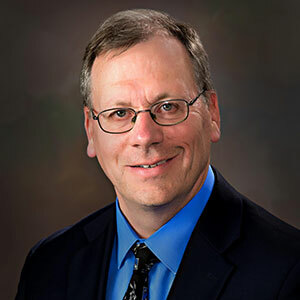 Andy is active in the community and is currently a member of the Mesaba Country Club, Hibbing Curling Club, Hibbing Elks Lodge, and the Central Mesabi Medical Foundation. He was formerly chair of the Hibbing Area Chamber of Commerce, President of the Minnesota Curling Association and on the Board of the United State Curling Association. Andy resides with his wife Kristi and their two sons in Hibbing. 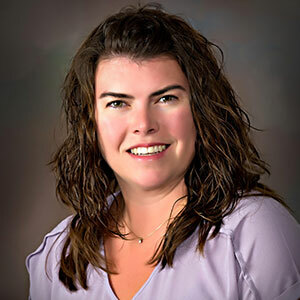 Jaclyn Corradi Simon is a lifelong resident of Chisholm, Minnesota and graduated from Chisholm High School in 1998. Jackie graduated from the University of Minnesota Duluth in 2002 with a Bachelor of Science in Chemical Engineering and received her Juris Doctor from William Mitchell College of Law in 2006. Jackie was admitted to the Minnesota State Bar in October of 2006 and began practicing law in Hibbing, Minnesota. Jackie’s areas of practice are Criminal Defense, Civil Litigation, Family Law, Probate and Estate Administration, and Real Estate Law. Jackie is a member of the Minnesota State Bar Association, Range Bar Association, Children’s Justice Initiative – Northern St. Louis County and currently serves on the Minnesota Discovery Center Board of Directors. Jackie enjoys figure skating and remains involved with the Chisholm Figure Skating Club as a volunteer coach.